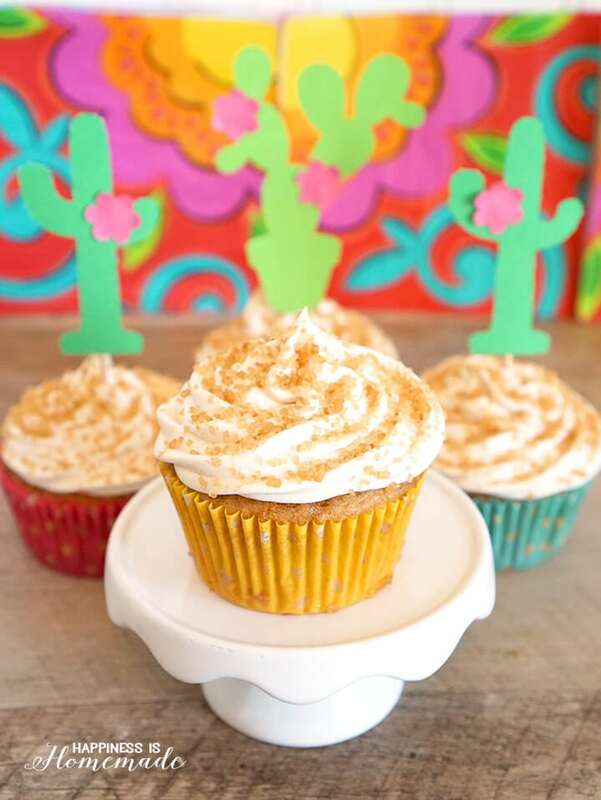 These cinnamon sugar churro cupcakes are the perfect dessert for your Cinco de Mayo fiesta! 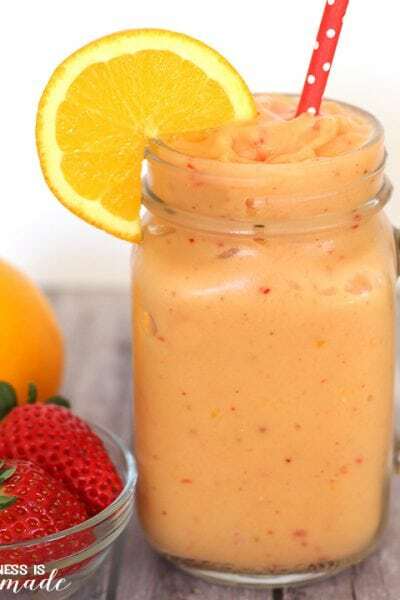 A quick & easy semi-homemade treat that can be whipped up in minutes! 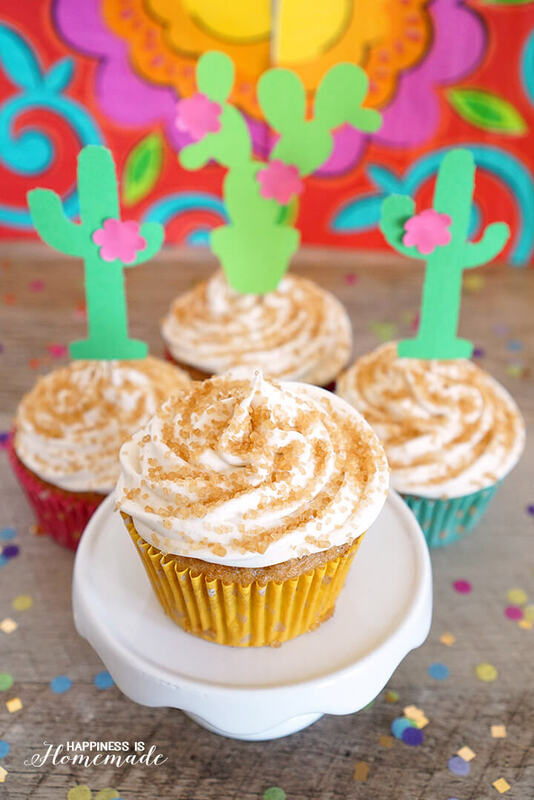 I love a good fiesta, especially for Cinco de Mayo, and there’s no better way to top off a delicious Mexican meal than with a churro cupcake! These semi-homemade treats are packed full of traditional churro flavor, but they’re made from a gussied up boxed cake mix, so you can have your dessert party-ready in no time! 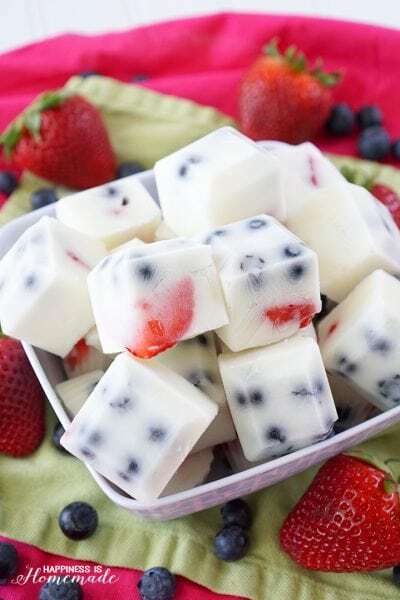 Be sure to pin this recipe to your favorite dessert or party board (just hover over an image and click the “pin it” heart in the upper left hand corner! 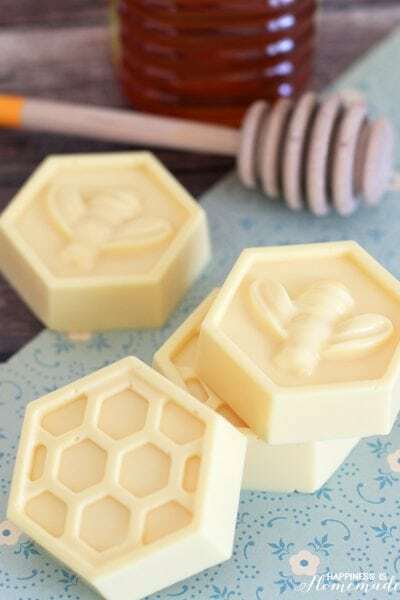 ), and follow Happiness is Homemade on Pinterest for more recipes and creative inspiration! 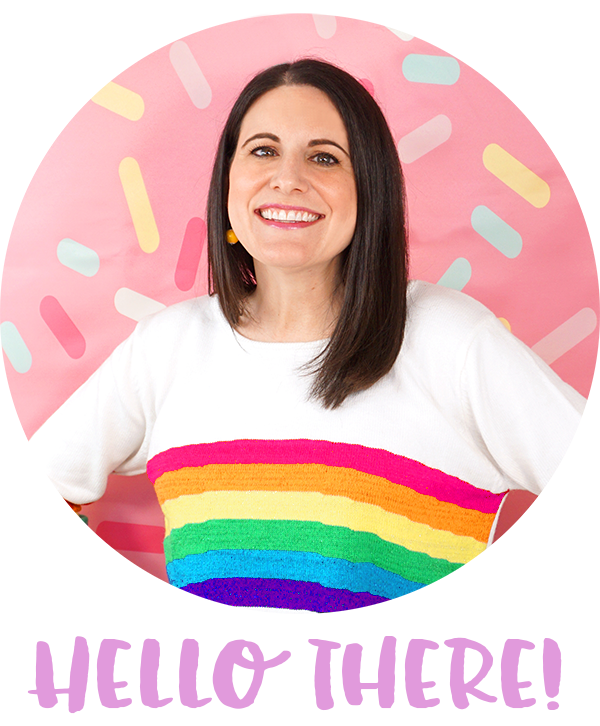 For lots more great Mexican food recipes and Cinco de Mayo party food, be sure to scroll all the way to the bottom of this post for the #CreativeFoodies Favorite Mexican Recipes roundup! 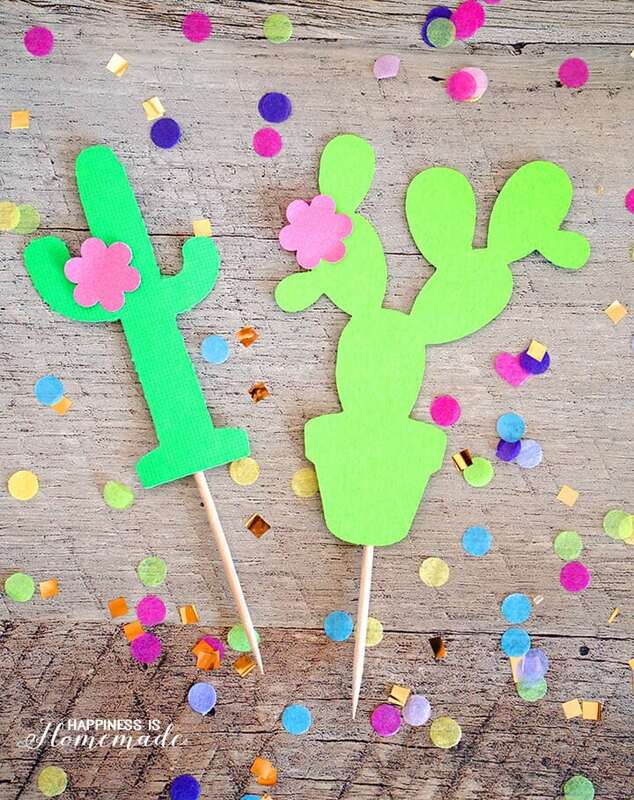 Of course, a party cupcake isn’t a party cupcake without a fun cake topper, so I whipped up these cute cactus cupcake picks from colored cardstock, hot glue and toothpicks. Easy peasy! To make churro cupcakes, start with a boxed vanilla cake mix (I used Betty Crocker), and prepare the batter as directed. Add 2 tsp. of cinnamon to the batter along with 1 tbsp. of vanilla extract. Divide batter into baking paper lined cupcake tins. 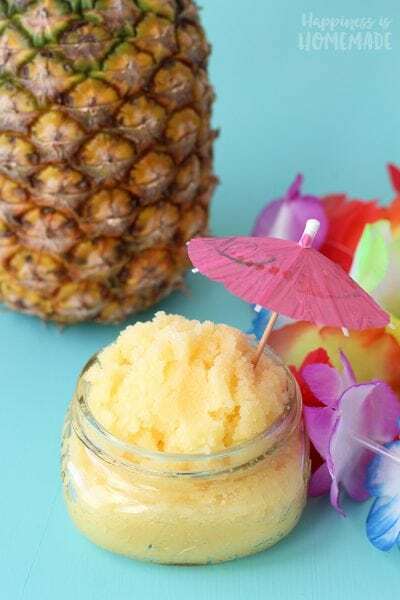 In a small bowl, combine 1/3 cup of Sugar In The Raw turbinado sugar (coarse grain) and 1 tsp. cinnamon. Sprinkle a generous amount on top of the cupcake batter, and bake as directed on the box. Top each cinnamon vanilla cupcake with my favorite cinnamon cream cheese icing and another generous sprinkle of the cinnamon sugar mixture. Sooooo good! YUM! 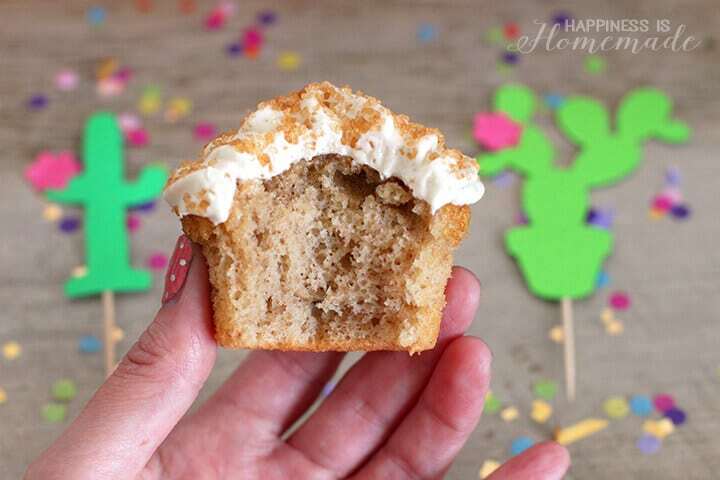 Your family and friends are going to LOVE these delicious churro cupcakes! Fluffy and soft with a sweet cinnamon crunch on top – what’s not to love?! 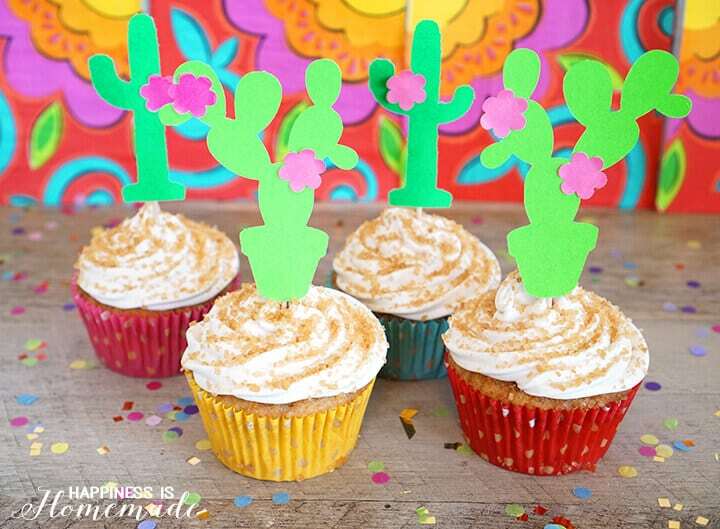 Churro cupakes are my favorite way to end a meal, and the #CreativeFoodies are all sharing their favorite Mexican food recipes today as well – check ’em out! So yummy at first sight. My kids love cupcakes very much. 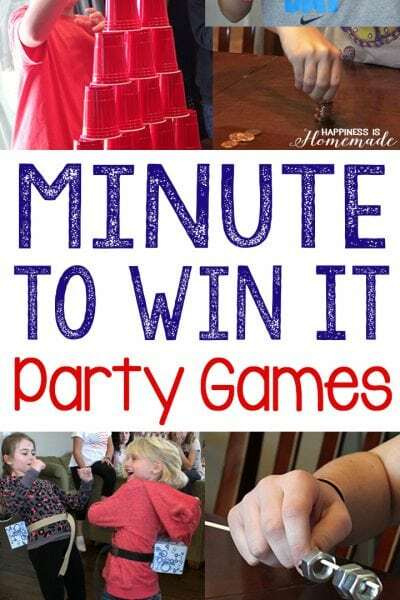 I will surely try to make this for them and hope they love is. Thank you so much for sharing this post!